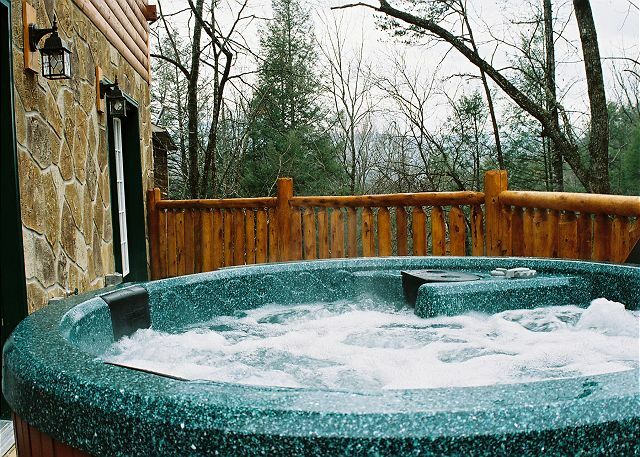 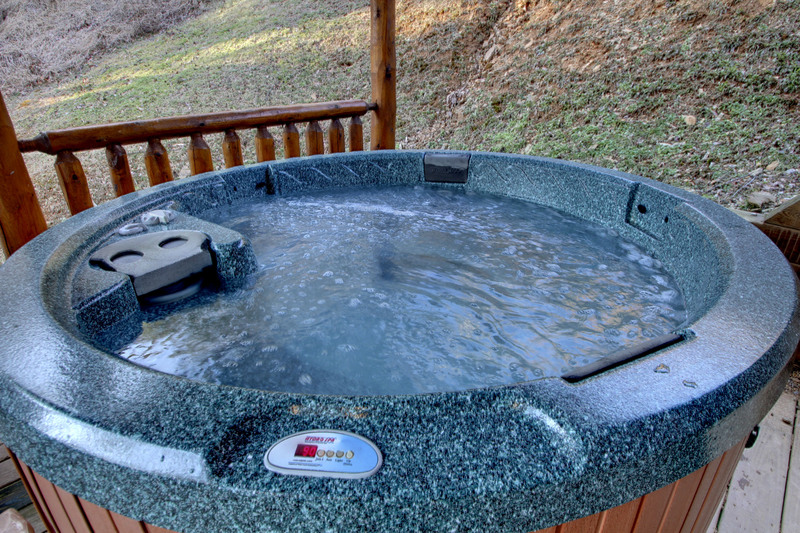 Beautiful mountain views, state-of-the-art home theater system, bubbling hot tub and luxurious furnishings. 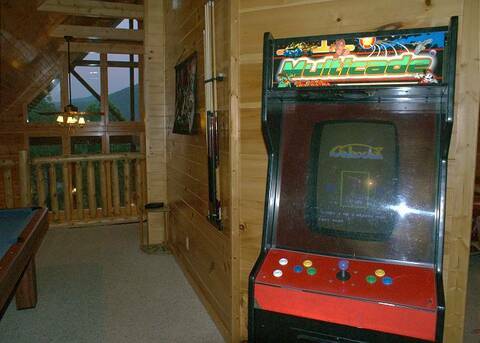 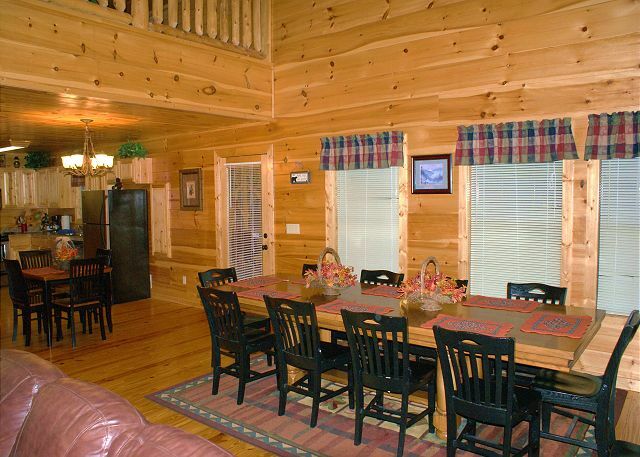 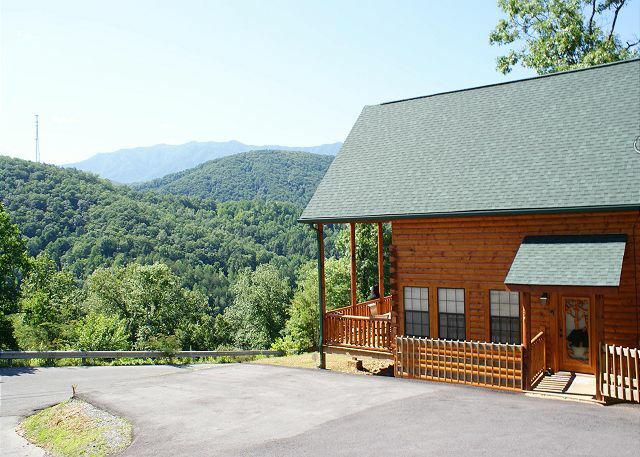 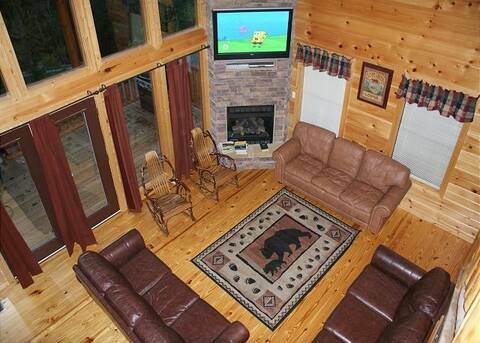 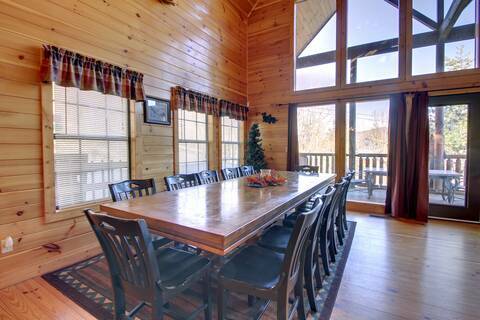 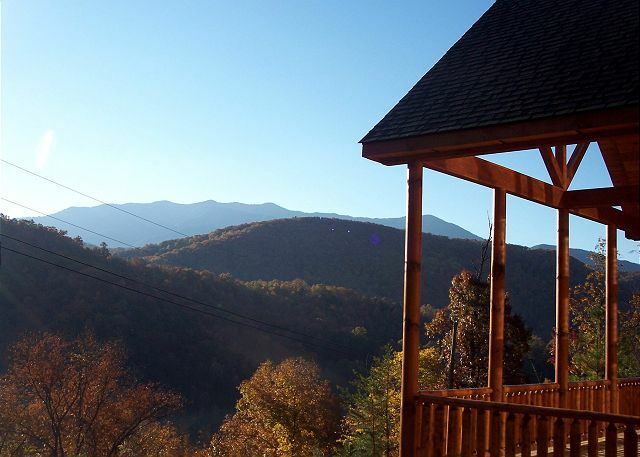 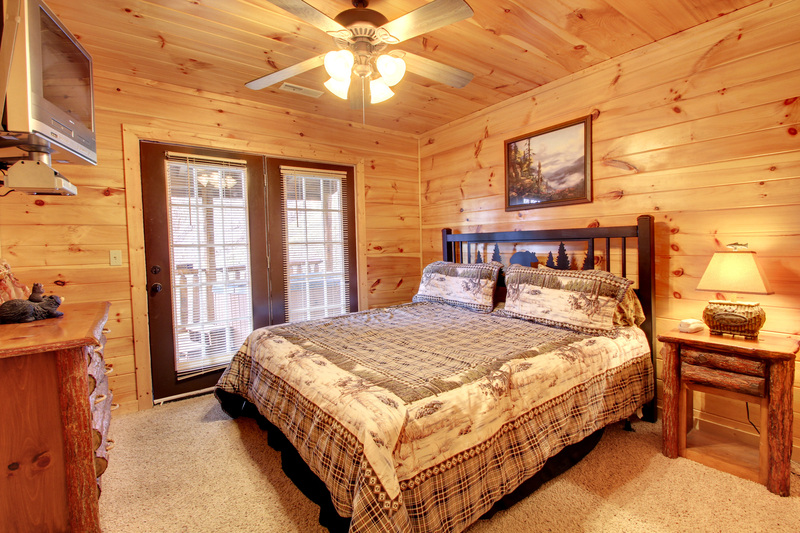 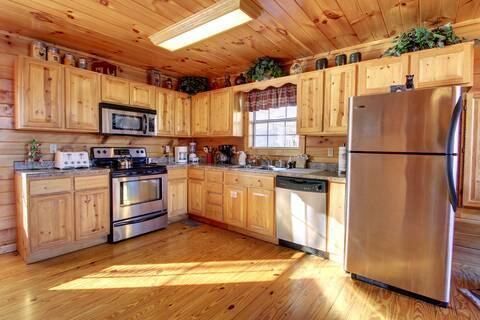 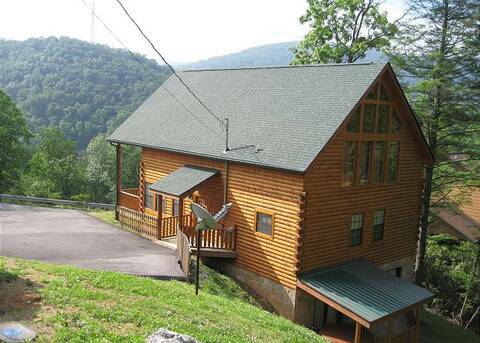 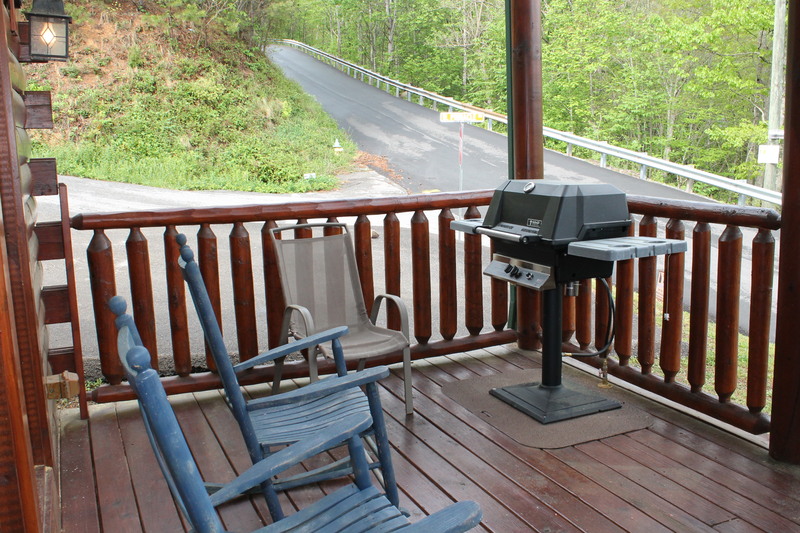 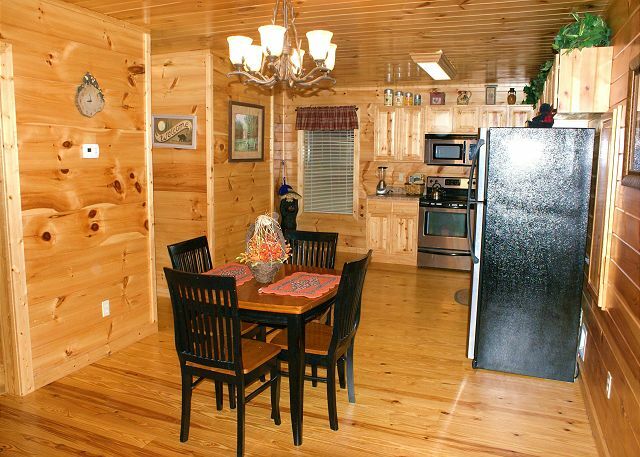 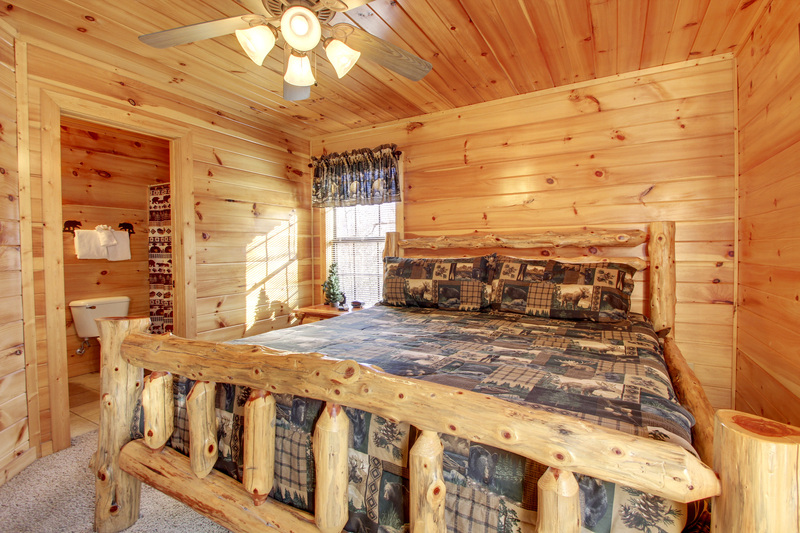 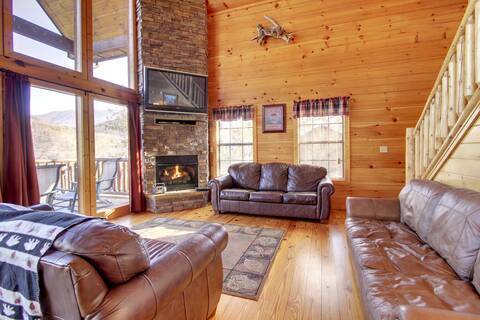 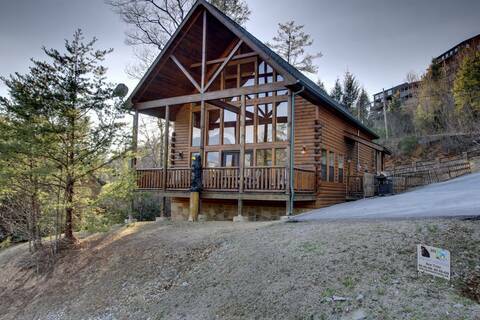 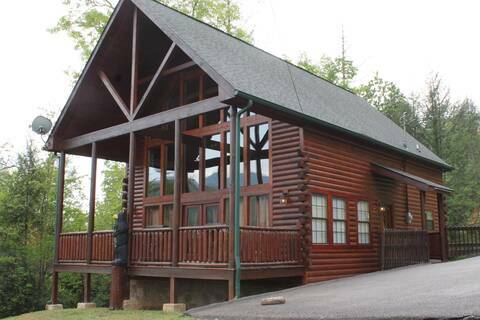 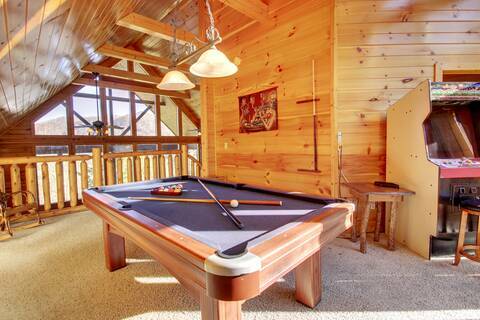 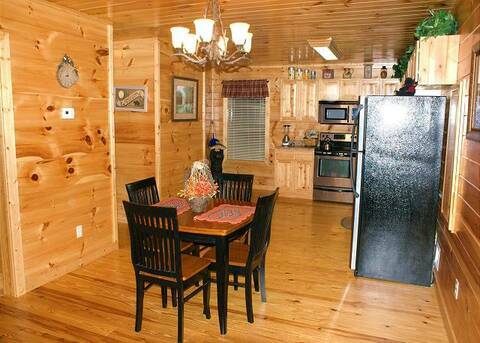 This log cabin is a vacationer's paradise that will provide unforgettable memories. 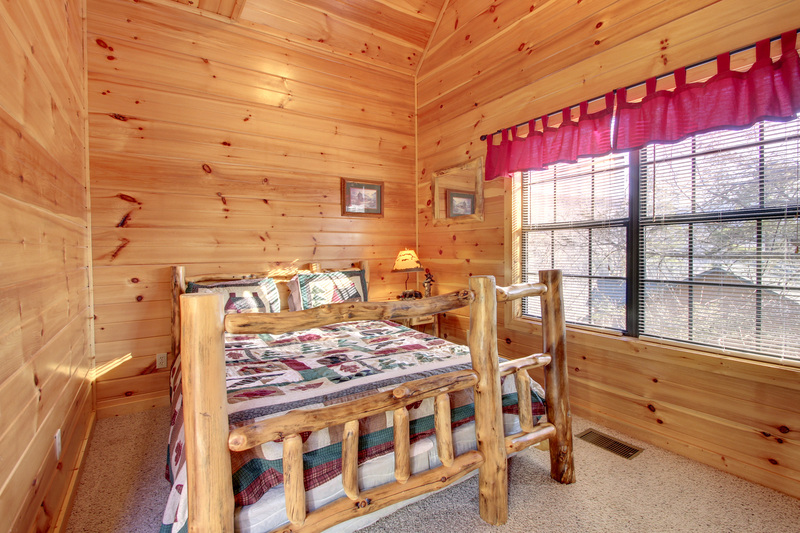 From the moment you walk into the cabin, you will find yourself nestled in elegant mountain decor as well as all the comforts of home. Upon arriving at this one-of-a-kind cabin, you will enter the main level where the living, dining and kitchen areas as well as a master bedroom with full bath and a hall half bath will be located. 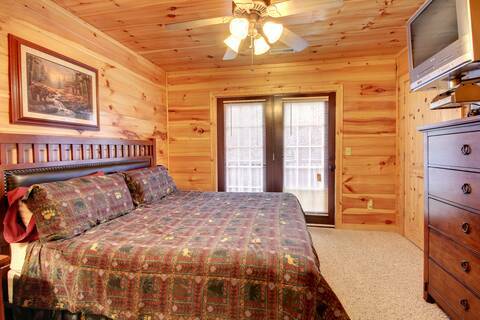 Also, located on this level is a master bedroom with king bed, tv with dvd/vcr player and full bath. 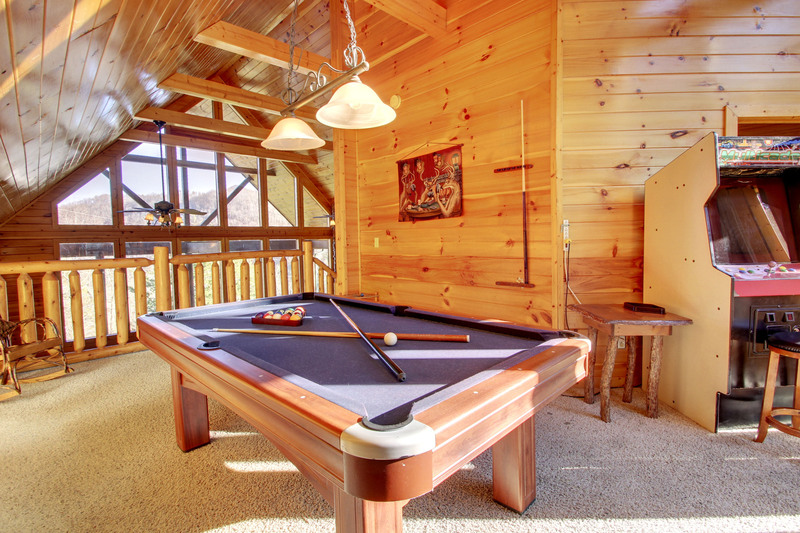 Located in the upper loft area, the game room features a full size pool table, a multi arcade game with 22 games, flat screen plasma tv, and CD player. This upper level also includes a bedroom with queen size bed, tv, DVD, vcr and a full bath. If you are in the mood for entertainment, journey down to the lower level where the spacious home theater room is located. 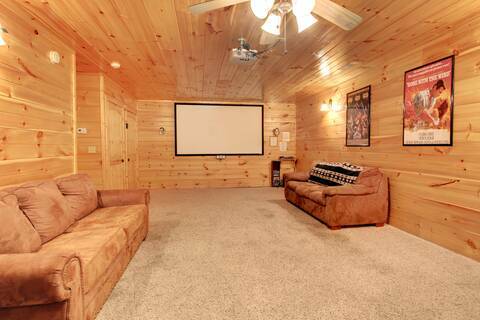 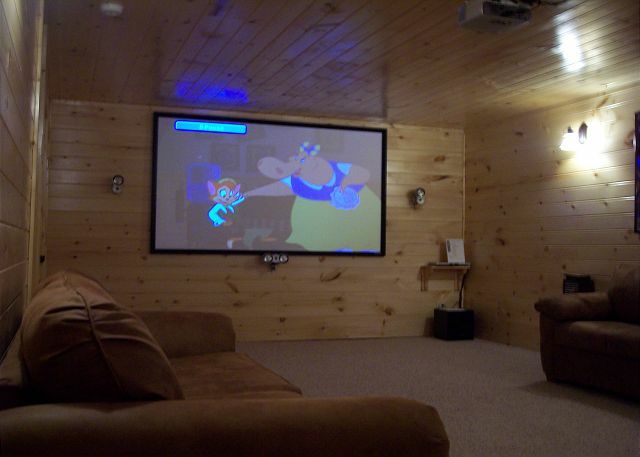 The home theater room features a 6' x 8' screen, surround sound, and large seating arrangement. Also, located on this lower level is one bedroom that offers king size bed, tv, dvd/ vcr player and full bath. The second bedroom on this level offers a king size bed, tv with DVD/VCR player and full bath. Also, located on the lower level is the hot tub for your enjoyment. 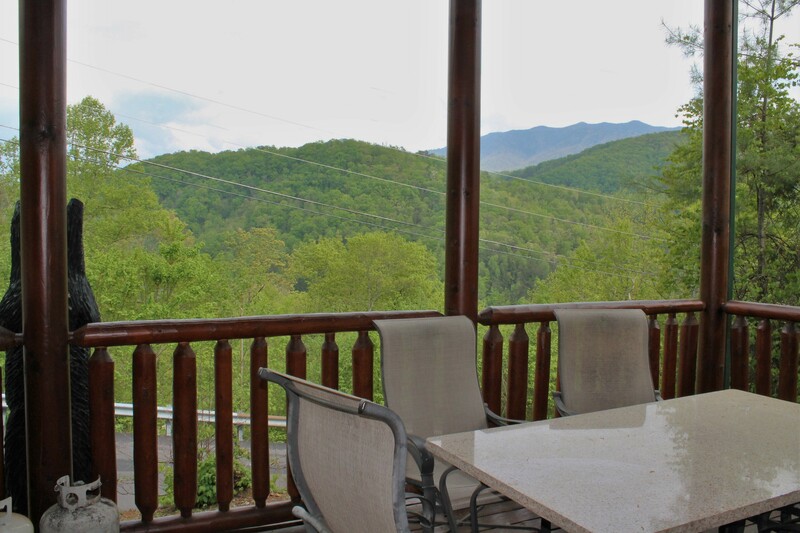 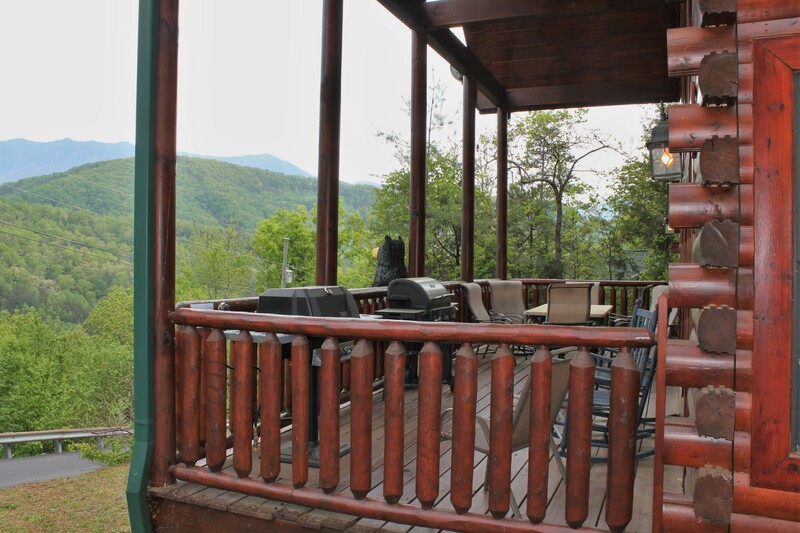 The main level deck includes a covered sitting area with deck furnishings to enjoy the breathtaking mountain views. 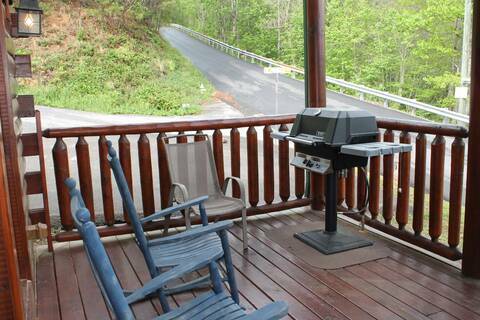 Large gas grill. 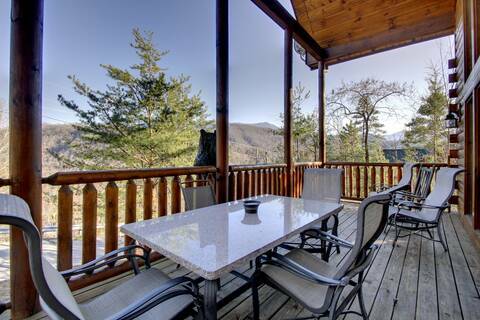 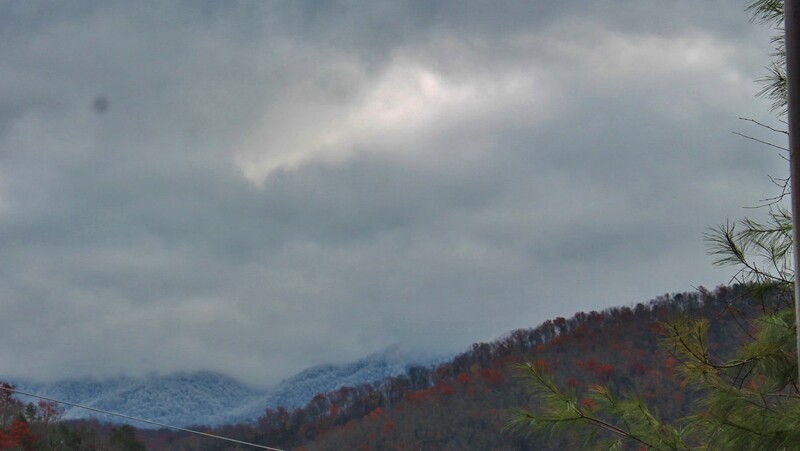 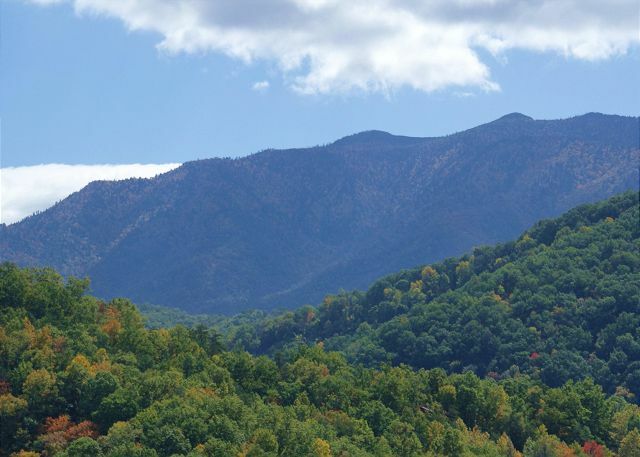 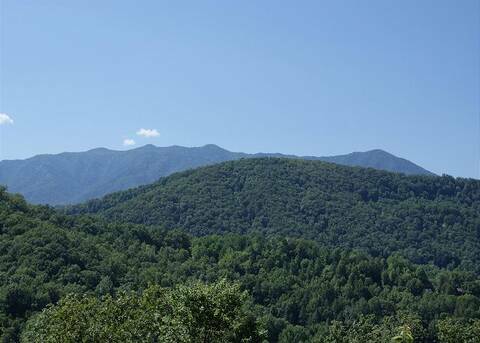 Less than 5 minutes to downtown Gatlinburg! Sleeps 14.